It was lovely to welcome visitors from the POD to join in our concert of songs, dance and a Christmas Carol sing-a-long. This entry was posted in British Values, Catholic Life, Creative Arts, Events, Events 2018-19 on December 20, 2018 by admin. Thank you to all our wonderful cooks for a delicious lunch today. This entry was posted in Events, Events 2018-19 on December 18, 2018 by admin. Reception and Nursery children told the Christmas story beautifully, from the viewpoint of the animals in the stable. The mice and cows; sheep and donkeys all welcomed the newborn baby into the world in their own magical way. This entry was posted in Catholic Life, Creative Arts, Events, Events 2018-19 on December 18, 2018 by admin. 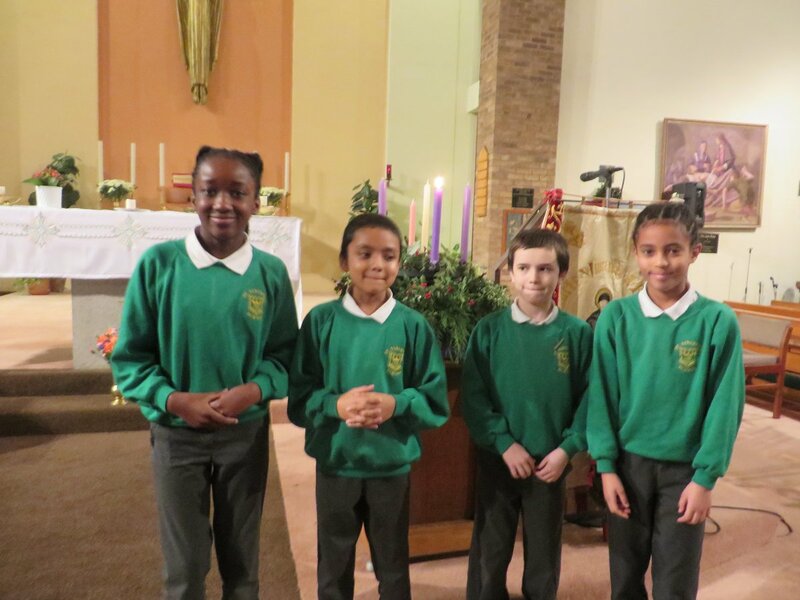 On Friday we held our annual carol service at St Chad’s Cathedral. Well done to the choirs from all the schools who came along to sing. Year 3 and 4 read Charlotte’s Web in class. 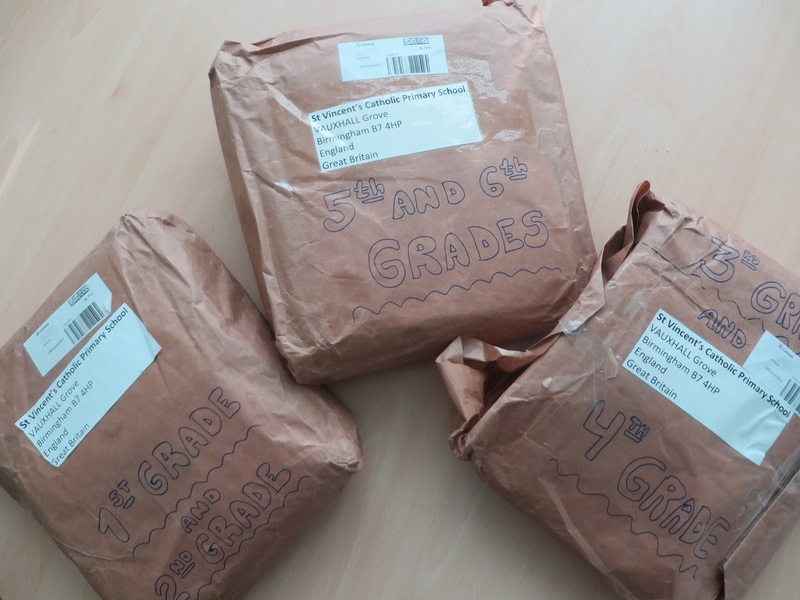 After reading all about life on a farm, they went to visit Ashend farm and then decided to raise money for a community which did not have enough to eat. They supported CAFOD World Gifts to buy some fish and some chickens. Here they are opening the cards from CAFOD. This entry was posted in British Values, Catholic Life, Educational Visits, Events, Events 2018-19, Respect on December 11, 2018 by jtibbits2013. We have entered the season of Advent. This week we are lighting second candle on our Advent Wreath. 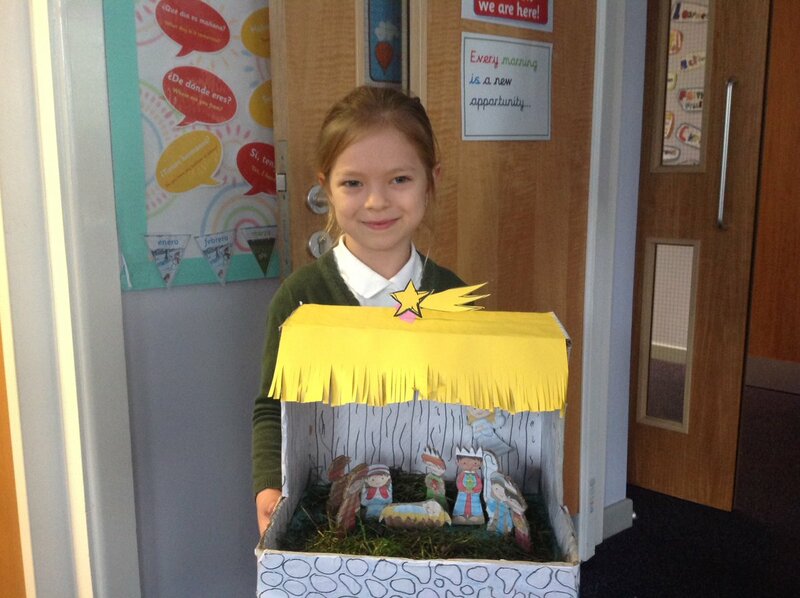 The children are making cribs at home to be blessed by Father Solomon at our final Carol Service. We had a wonderful Advent workshop with parents working with their children to make nativity pictures and wreaths and paper chains to decorate their homes. This entry was posted in Catholic Life, Creative Arts, Events, Events 2018-19, Show Me What You Know on December 11, 2018 by jtibbits2013.